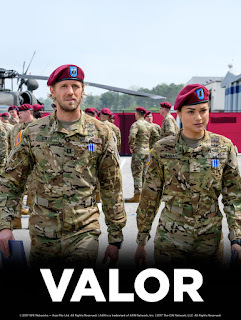 PHILIPPINES (September 28, 2017) – The boundaries that lie between military discipline and human emotions are put to the test in the new drama series Valor, which premieres this October on AXN. 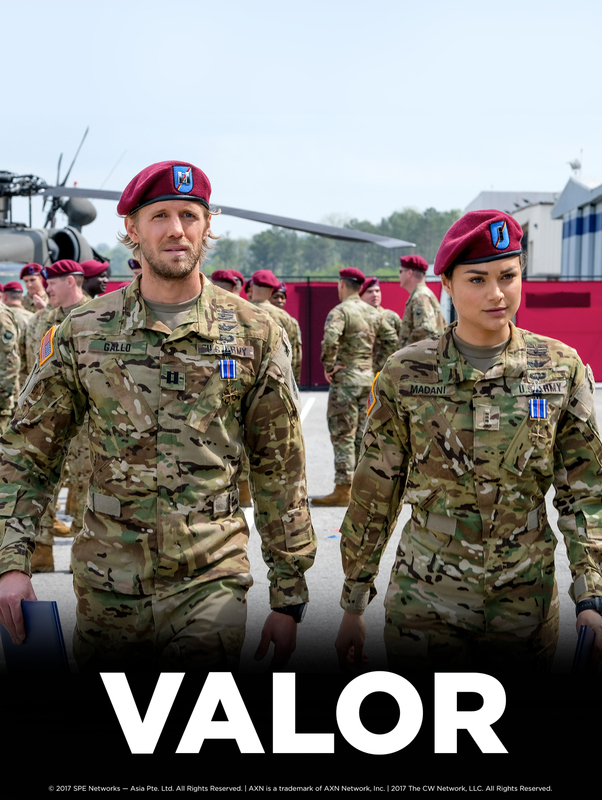 Valor tells the story of two U. S. Army helicopter pilots, Warrant Officer Nora Madani (Christina Ochoa) and her commanding officer, Captain Leland Gallo (Matt Barr), as they lead an elite unit known as the Shadow Raiders on a top secret mission in Somalia. Things do not go as planned and the two are the only ones who make it back safely. When news breaks out that one of their own is alive, Madani and Gallo train for a daring rescue mission while trying to hide from their superiors the shocking truth about what really happened in their initial operation. Along the way, the couple develops a little romantic tension between them as they grow closer, and soon find themselves torn between, duty, honor, and desire. Valor premieres on October 10, every Tuesday at 10:40 pm within 12 hours of the U. S. telecast. First & Exclusive on AXN.